The Congress had posted a photograph of Modi and Sharif walking hand in hand on micro-blogging site Twitter and sought to know what the prime minister thinks of his former Pakistani counterpart. 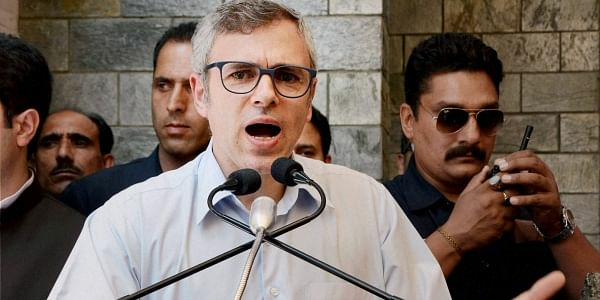 SRINAGAR: National Conference vice president Omar Abdullah said today that the Congress's tweet about Prime Minister Narendra Modi and incarcerated former Pakistan prime minister Nawaz Sharif was disappointing. "There are a lot of things I will be critical of PM Modi for but attempting to repair India's relations with Pakistan is certainly not one of them. I'm not even getting into the internal politics of Pakistan that makes this tweet even more disappointing," Abdullah said in a tweet. "Nawaz Sharif has been arrested on corruption charges. We'd like to know what his dear friend, PM Modi has to say about this," the Congress tweeted. The former Jammu and Kashmir chief minister also lashed out at BJP activists for burning effigies of PDP president Mehbooba Mufti in Jammu. "It didn't matter when army establishments were attacked all over Jammu, soldiers kidnapped & killed, Amarnath yatris & tourists killed but suddenly @MehboobaMufti is enemy number one. The BJP thinks people are fools & won't punish their selective memory," he said in another tweet.